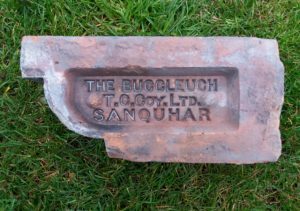 1885 – 1891 The history of Sanquhar – Buccleuch Terracotta Works – Meanwhile, a lease of the original brick field, which belongs to the Duke of Buccleuch, had been obtained by Mr M. Mclver, (whose family originated form Ireland.) who proceeded, in the year 1885, to open it up, and to erect the necessary buildings and machinery. The works are similar in size to those above described. Mr Mclver was the inventor of, and the first to introduce, the new process of drying by means of steam, whereby, for the first time, the total ” exhaust ” of the engine is availed of, and distributed over the entire area of the drying- floor, thus securing an equable heat, putting an end to the great waste caused by over-drying, and saving the entire cost of the numerous fires formerly in use for the purpose. Mr Mclver is lessee of the whole field belonging to the Duke, extending to over eighty acres, the seam of clay being twenty-one feet of surface clay, and a four-and-a-half feet face of blue brick clay in the mine. 22/11/1895 – Glasgow Herald – Sanquhar – Fatal accident – Yesterday afternoon, a young man named Joseph Lindsay, resident at Crawick Mill, was so severely crushed by a fall of clay at the Buccleuch Brick and Tile Works, Sanquhar, that he only survived a short time after beg removed home. Below – 1896 – Sanquhar Brickworks to the left and the larger Buccleuch Terracotta Works to the right. 22/01/1898 – Dundee Courier – New Scottish Company – Buccleuch Terracotta Company, Sanquhar. To take over from Matthew McIver, brick and ile manufacturer, Sanquhar, his lease of clay lands as held from the Duke of Buccleuch and to carry on th ebusiness of brick and tile makers. Capital £10,000 in £1 shares. 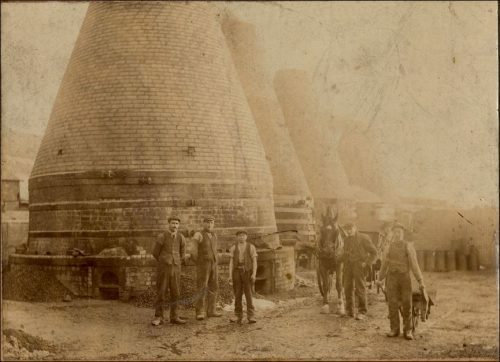 14/03/1912 – Aberdeen Press and Journal – Messrs Cotts Forge, the Buccleuch Terra Cotta Limited and the Sanquhar Brick and Tile Company have all closed their works until the strike is settled. 1913 – 1925 ? Sanquhar and Kirkconnel Collieries Company – Chairman and Managing Director of the Sanquhar and Kirkconnel Collieries Ltd., Dumfriesshire – McConnel, James Irving . Educated at Charterhouse and Edinburgh University. Served apprenticeship in Mechanical Engineering with the Barrow Shipbuilding Corporation. Entered upon lease of the Sanquhar Coalfield in 1886. County Councillor for Dumfriesshire 1892-1922. J.P. Formerly Captain 3rd V.B. Kings Own Scottish Borderers. Member Royal Company of Archers. (Kings Body Guard for Scotland). 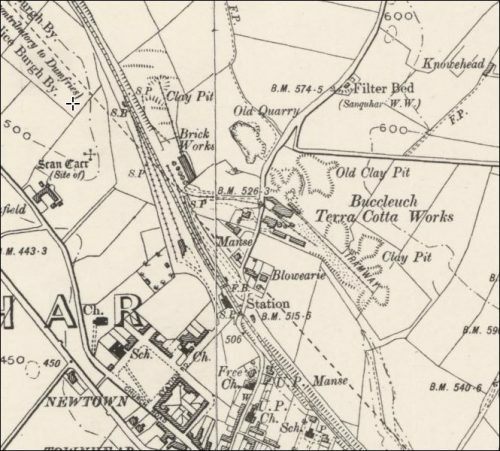 Below – 16/09/1914 – Dumfreis and Galloway Standard – Accident at the Buccleuch Terra Cotta Company Brick Works. Edward McKie – crushed hand and finger amputated. 20/02/1915 – Dumfries and Galloway Standard – Dangers of gelignite – Charge against a Sanquhar firm – At Dumfries yesterday Sheriff Campion was engaged for several hours hearing evidence in a charge at the instance of Mr Henry Walker, HM Inspector of Mines and Quarries, Edinburgh against the Buccleuch Terracotta Company Ltd, Sanquhar and also against Mr James Pearson Powell, secretary of the company….. as owners and manager of the Buccleuch Clay Quarry, Sanquhar….charges involved insufficient notices regarding the quarry safety rules, incorrect storage of gelignite and detonators, thawing out gelignite near a steam boiler while not being in a warming pan…. all charges were found not proven. 10/07/1915 – Dumfries and Galloway Standard – A good labourer wanted for clay getting; steady work, good wage – Apply stating age, if married and present work to the Buccleuch Terra Cotta Company Ltd, Sanquhar. 03/11/1915 – Dumfries and Galloway Standard – Women wanted for Brickwork, not under 16 years of age. Apply with references to the Buccleuch Terra Cotta Company Ltd, Sanquhar. 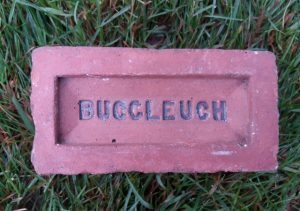 04/12/1915 – Dumfries and Galloway Standard – The Buccleuch Brickworks, which was owned by the Buccleuch Terra Cotta Coy., Ltd., has been acquired the Sanquhar and Kirkconnel Colleries, Ltd. The collieries now own both brickworks. 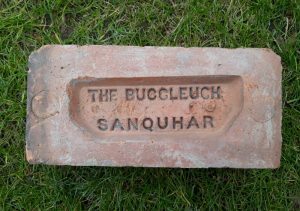 (Sanquhar Brick and Tile Works and the Buccleuch Terracotta Works, both in Sanquhar). Their latest acquisition is situated close to the railway, and a high class of brick is manufactured there, which commands ready sale. Both works are extremely busy at present; a large quantity their bricks being used at Gretna. 04/04/1916 – Edinburgh Gazette – The Buccleuch Terra Cotta Company Limited. Notice is hereby given that, in pursuance of Section 188 of the Companies (Consolidation) Act, 1908, a Meeting of the Creditors of the above named Company will be held within the Office of Thomson McLintock & Co., C.A., 149 West George Street, Glasgow, on Friday the 14th day of April 1916, at 12 o’clock noon. William McLintock Liquidator. 08/04/1921 – The Scotsman – Harmony in Dumfriesshire – A spirit of harmony prevails in the Sanquhar and Kirkconnel districts. The staff and clerks are managing to keep the mines clear. Other industries are, however, beginning to feel the effects, and a considerable number of men and women have been compelled to cease work at the local brickworks for the lack of fuel. This is regrettable, as there is great demand for bricks. This stoppage will affect the progress of the local housing scheme. 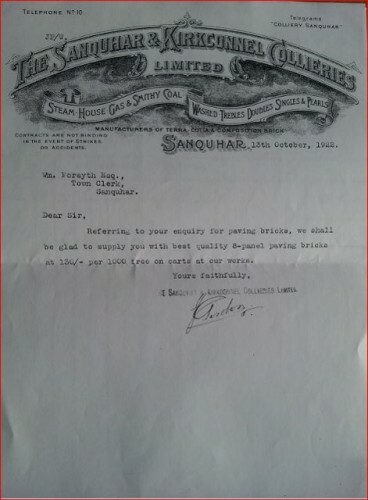 Below – 1922 – Sanquhar & Kirkconnel Collieries letterhead – Enquiry dated 13/10/1922 to Wm Forsyth Esq, Town Clerk, Sanquhar for 8 panel paving bricks at 130/- per 1000 and signed J Gordon. Sanquhar & Kirkconnel Collieries owned the Fauldhead Collieries Brickworks and at one point the Sanquhar Brick and Tile Works and the Buccleuch Terracotta Works, Sanquhar. 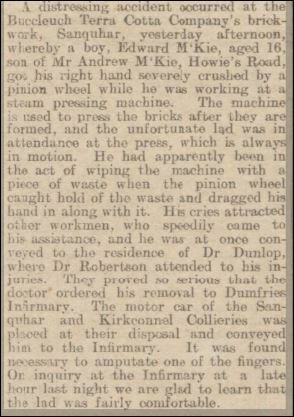 11/02/1924 – The Scotsman – …. It is interesting to state that it is exactly 100 years since the grandfather of the chairman of the Sanquhar and Kirkconnel Collieries ( Limited ) procured a lease of the minerals from the Duke of Buccleuch and Queensberry, and without a break, the family have continued to operate on the coal seams and the fireclay utilised in connection with the brick, tile, and terracotta works. Below – 11/07/1931 – The Scotsman – New Scottish merger – Coal and iron interests. 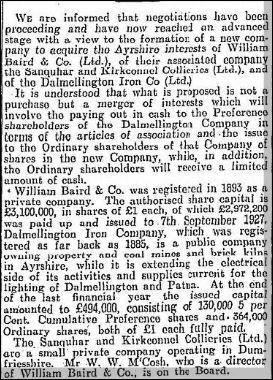 The Dalmellington Iron Company take the Sanquhar and Kirkconnel Collieries from William Baird and Co.
25/04/1933 – Dundee Evening Telegraph – Arbroath High School extension – …the outer walls are built of Brechin stone, the inner walls to dado height, of Buccleuch brick and abobe dado height of Montrose brick…. 29/03/1938 – The Scotsman – Bairds and Dalmellington Limited – Favourable results of years trading – ….other major items of capital expenditure included ….the erection of an aerial ropeway to handle supplies of material for the Dalmellington Brick Works. We also completed an extension to our Buccleuch Terracotta Brickworks, Sanquhar…. the brickworks were actively employed throughout most of the year, though during December there was a slackening in demand due to weather conditions interfering with building operations…. 04/01/1939 – Dumfries and Galloway Standard – New cinema for Kirkconnel – Sanquhar and Kirkconnel bricks were used for the erection of the building…. 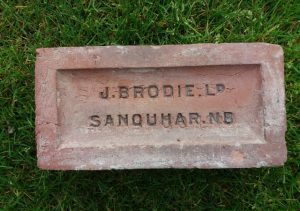 (Note SBH – I am uncertain if these were bricks from the Fauldhead Colliery Brick Works or the Sanquhar Brick and Tile Works or the Buccleuch Terracotta Works). 13/04/1939 – The Scotsman – The Buccleuch Brick Works were idle yesterday due to a failure in their water supply. 25/09/1940 – Dumfries and Galloway Standard – Short time at Sanquhar Brickworks – The employees of Sanquhar Buccleuch Brickworks, owned by Bairds & Dalmellington, Ltd., are presently on short time. Last week they worked the first three days and were idle the last three. A superior class of bricks is manufactured at this works and apparently the demand for these has slackened off. 1947 – 1958 ( 1961) The National Coal Board ran the Buccleuch Terracotta Works (Brickworks closed 1958 – 1961) – Source Brick, Tile and Fireclay Industries in Scotland RCAHMS. 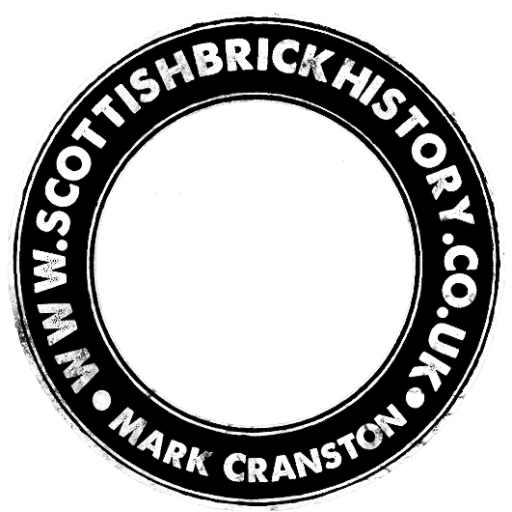 (Note – SBH – Has anyone ever seen a brick marked NCB Buccleuch or NCB Sanquhar). c. 1971 – Works demolished.